Have any questions? Give us a call so we can help. 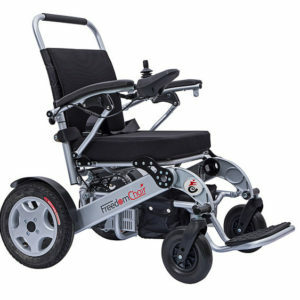 Travelling from A to B with mobility issues has never been easier than with one of our lightweight folding travel mobility scooters, or portable folding electric wheelchairs. Travel by car, train, cruise, airline – the choice is yours. 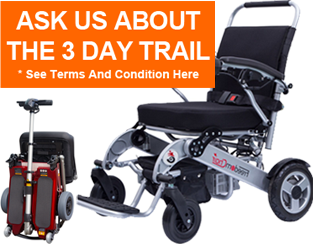 Experience the convenience and freedom of one of our portable travel scooters or folding electric wheelchairs today. We stock the best quality and design in each category that offer the user clear benefits over others. Take these folding mobility scooters with you on a cruise, plane, or in the boot of your car. They are lightweight, fold easily, compact and highly portable. These scooters are powered by a lithium battery and can be wheeled along like a travel suitcase when fully folded. Take these folding power chairs wherever you go. 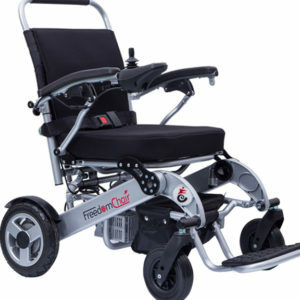 At long last, a highly portable electric wheelchair that folds and is compact and lightweight. Like the travel mobility scooters, can be wheeled along when fully folded. Each model comes with a lithium battery. Ideal for travel. Warehouse Direct Not for You? 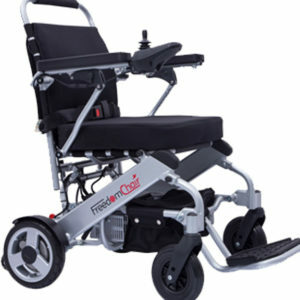 In home demonstration, scooter or chair set up and training, is available in some areas. 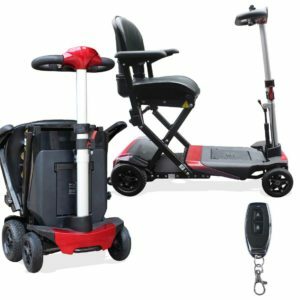 Choosing a Portable Mobility Scooter or Powerchair ? 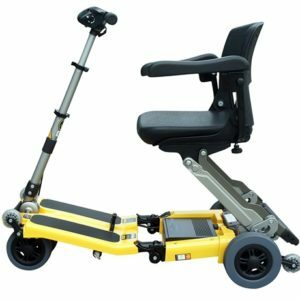 Portable travel mobility scooters and electric folding wheelchairs are much lighter and compact and can easily be transported for travelling. This opens up tremendous opportunities to get around with much greater independence than before. Shopping trips in the car become much easier, and a cruise or flight overseas suddenly becomes much more accessable. 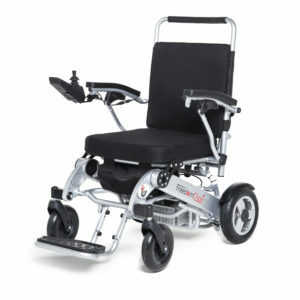 From our experience over the years, this form of travel mobility can be truly life changing for the user. 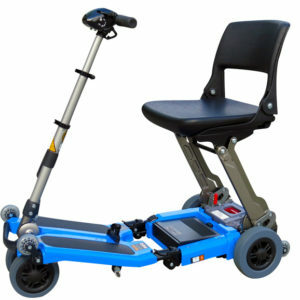 Both the travel scooters and portable chairs perform the same basic essential function – moving around easily from A to B. Scooters are most suited where the user finds walking distances challenging and too difficult. And the chairs are the way to go for users that lack upper body strength and mechanical body movement. But there is a big crossover and sometimes it comes down to personal choice. As you do your research, you’ll find It’s better to choose a travel mobility device that is a one – piece folding design. Much easier than having to put it together and dismantle all the time which can be very cumbersome especially when travelling. It needs to be lightweight, well designed and strong, fold easily and quickly, comfortable and robust, and come with a good quality lithium battery. Make sure the lithium battery is under 300 w/h and has a valid MSDS so it can be taken on the plane. 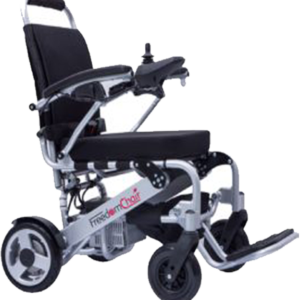 The mobility device should be programmed to Australian Standards and for greater peace of mind choose one that is TGA registered. * Don’t forget to check out our new DE08 Series chairs, Premium Lite and Premium Lite Sport that split in two for easy and light lifting into the car. A video that show how this is done is on the product description page and the blog page. These chairs are the only ones in Australia that split for easy lifting!